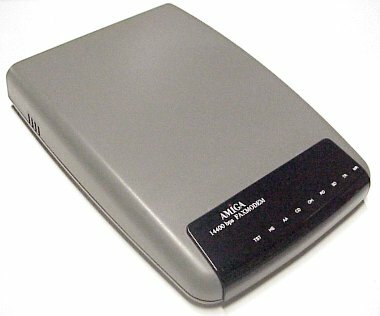 An external Amiga branded modem. The pictures show the modem supplied with the German telephone kit. 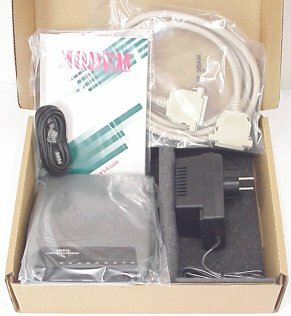 This modem was probably also available as an OEM version supplied with the A1200 Surf Packs which were released during the Escom (Amiga Technologies) reign, but this has not been confirmed. It is a 14k4 modem which also supports FAX.